Asa's lamb did not turn out exactly the way I had it pictured in my head. There is a smidge of a puppy look about it (partly from the nose, but the minky I used on the face was super fluffy and embroidery was just lost in all the fluff--a lesson for next time), but unless I finish all the other projects on my list of dream projects (which seems like a laughable idea with a 15 month old who is in love with his newest trick--walking--as of the past month) and make a version I love TONS better, I'm willing to let its imperfections go. Which is big for me. Really big. I had to modify a couple of the pattern pieces I drafted. They just did NOT look right overall. And I learned a valuable lesson when I went to turn the lamb in order to stuff it and sew it closed. 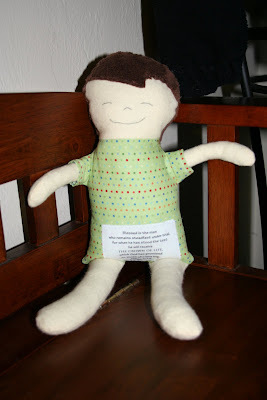 Stuffed arms and legs do NOT fit well through little lambie necks! Next time, I will leave my opening in the torso instead of the head! Whew! I was afraid I would pull it to pieces as I tugged and tugged and the seams strained and strained. For my birthday, my parents gave me a sewing pattern I asked for from an Etsy seller. 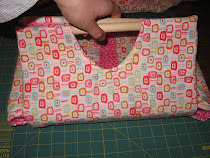 It's the A Girl's Best Friend wallet pattern from Jennalou06. I was a bit intimidated by it; I'm still working through my anxiety about sewing from a pattern instead of drafting my own pattern or just figuring things out on my own. 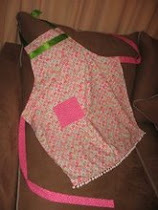 It also has a zipper, which I have never done before... until now! I spent part of one evening cutting the pieces, affixing the interfacing, transferring marks, and reading over the instructions. During the following day's afternoon nap I completed the first three steps (out of six), and during today's afternoon nap I completed the remaining 3 steps! It is a deceptively simple pattern that I had NO problems with! I am really happy with how the wallet turned out and can't wait to get a gift card to put in it and send the gift on its way! Interior. The top half has a pocket big enough for cash, 6 card holders, and an elastic loop for a pen. The bottom half has another cash pocket and a zippered (coin) pocket. With some cards in it for example. It was a fun time of relaxed schedules, lots of cousins (there are 5 now on my side, and Asa has been ousted as the youngest on my side, though he's still the baby on Matt's side :) ), delicious food, and good times. The only down side was that Matt couldn't stay the whole time. He drove us down on Saturday and came back to OH on Monday. What a servant heart! Asa and I got to stay and play in TN and then my mom drove us back to OH (another servant heart!). We are settling back in now, and my mind is turning to.... new craft projects! I figured I'd make a list of the things I have in progress that I'd like to finish, some short term goals, and some longer term goals. I am still learning my way around my new grocery store (and sorely grieving the loss of Publix. I am recalling a certain Sinead O'Connor song "Nothing compares to youuuuu!"). It takes a lot of "fun" out of grocery shopping when you have to wander up and down aisles repeatedly because items are not stocked where you expect (at your old grocery store). But the only way to get rid of that icky, unfamiliar, can't-I-just-go-to-Publix-already feeling is to forge ahead and learn my way around. Thankfully, I have a patient baby as grocery trips now take considerably longer than before (that wandering I mentioned). Another by-product of grocery shopping truly feeling like a chore at a new store is fighting a huge lack in motivation for cooking. Who wants to cook when it means you have to go to the grocery store that reminds you about not being at Publix anymore (so I liked Publix a little...)? 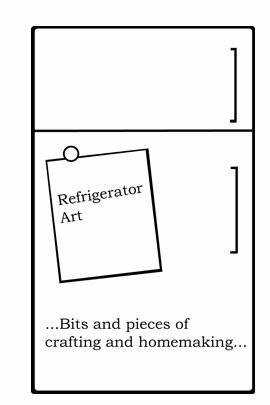 On top of that, I went from my DREAM refrigerator in FL to a dinky, old, (TINY) refrigerator here in OH. I used to stock up during sales. It saved us $$$ and I always had extra meals in the freezer. I have no idea how to do that here. It's a bummer. I admit, I have cried over my fridge (it was my anniversary present. No fear, Matt has promised me a new one where next we settle... but it won't fit in the place we're currently renting). Amazing how you can get so spoiled in 6 shorts months of refrigerator bliss. I told Matt I tried to ask myself if I could just be thankful for the 6 months I DID get to use my refrigerator. My honest answer to myself was, "No. If I'd never had it, I wouldn't know what I was missing." And there you have a transparent look into my heart during the transition of this move. I never thought I would miss Florida so much. Wow, I haven't blogged here since April. What has happened since then? house went from listed to CLOSED in about 3 weeks!!! AMAZING and totally GOD-ordained turn of events! There is some crafting involved with the recap of Asa's birthday, so that will be coming soon. I also have Independence Day outfit plans for Asa. Hopefully they will come to fruition! See all these shirts and the beautiful pendant? Well...they can be yours. ALL OF THEM !! You enter into the give away and you choose how many times 1, 2 or 3. It's easy! One entry is only 10.00 and if you are quicker than me you have already done the math and figured that is less than a dollar a shirt. Yeah, really. To sweeten this a bit more, you can have two entries for 15.00. Really, really want this ensemble of shirts? (Me, too!) Receive a third entry by blogging, tweeting or facebooking about it. They will even send you the wording so you can just repost. Not on their facebook? You can fb friend them by clicking on the fb badge on the left side bar of the blog. 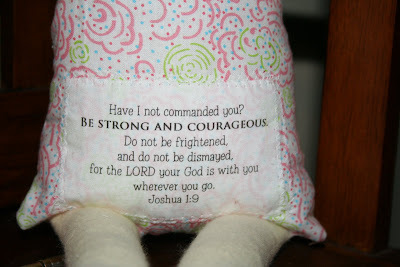 So just head on over to http://www.embracingtheleastofthese.blogspot.com and give it a shot. You will be helping in bringing home a PRECIOUS one...and what is better than that? And if you already have one of the shirts in the set, imagine the blessing you will be to gift it to another person who God may be calling to love the orphan. I love how my Christmas ornament wreath turned out. This is a similar idea from Frills, Fluff, and Trucks. Oh that I would make a wreath for each holiday. :) Once again, the main ingredient (plastic eggs) is from Dollar Tree! But you can find those eggs pretty cheap anywhere, especially if you are willing to forgo the wreath this year and buy them on clearance after Easter! 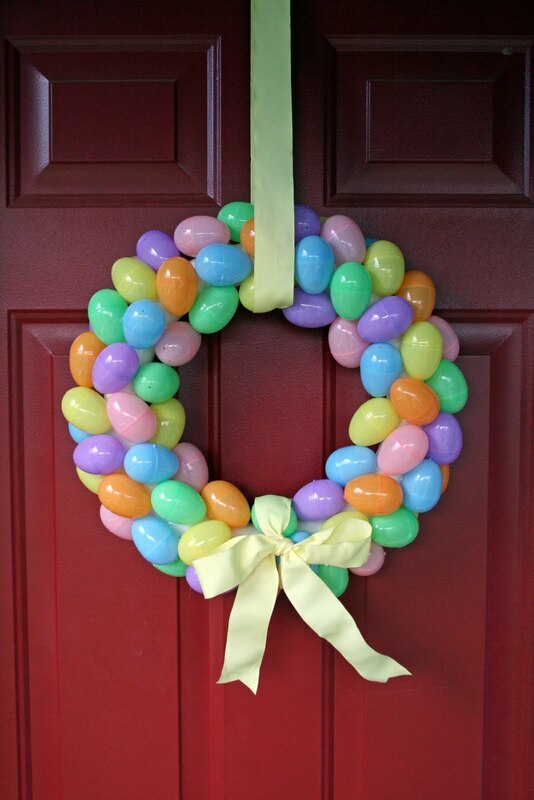 I have a door hanging similar to this that is a cross covered in eggs. You could fashion styrofoam blocks into a cross and make something similar. So many possibilities! The Purl Bee doesn't stop! These felt bunny finger puppets are adorable too. Asa loves puppets... I might have to scout out some felt! I really like how the white felt is paired with another bright, springy color. Perfection with ears (and a cotton tail). I know I have been absent around here lately, but I promise I have good reason! We are in the midst of a whirlwind MOVE. That's right, we're packing up in sunny Florida and headed for Ohio! A few weeks ago, my husband and I decided it was time to throw a few of his resumes out "there" and see what happened. Before we even sent a single one, a former coworker called and said he had a position open... and he wanted my husband for it. That began a 2 week period he was home for approximately 3 days (and throw a little stomach flu in there, too, while you're at it). He interviewed at the company, came home for 3 days, and then left for a conference. When he returned from the conference, he received an offer at the new company. It is even better than we were hoping for, and God has put every detail into place. Yesterday he gave 2 weeks' notice at his current job, and life is definitely in the fast lane. We are almost done with our "house" to do list. It has occupied about every spare second I have, thus not much crafting has happened around here (plus most of my fabric is already boxed up!). We will be separated for a time as Matt begins his new job and finds a place for us to rent. We are praying, praying, praying our house sells quickly! Since we'll be apart for a little while, Matt's taking some time to have 2 "family" weeks before he leaves for Ohio. The first week will be just the 3 of us here in Florida. We plan to take Asa for his first Disney World trip (we have some time on passes we bought a while back)! The next week we're meeting my family at the beach (Asa's first time at the beach and first "vacation"). I'm so thankful we can make these memories together! So, hopefully the house to do list will be completed soon. HOPEFULLY then I might be run out of my home frequently for showings ;), but maybe I'll get some sewing or something in there, too. I have been trying to hang onto links this week (still woefully behind in my google reader) to post a Craft Favorites Friday this week. There are sooo many cute Easter ideas I am excited to pass along! ... I regret to say I have no CFF prepared for today. Sunday night, my husband came down with the stomach flu. I succumbed Monday morning. He left Monday afternoon for some important meetings out of state all day at Tuesday and got home in the middle of the night Tuesday night. I didn't really start feeling like my stomach was settled enough as I'd like until Wednesday. And even on Wednesday and Thursday I was completely wiped out energy-wise.... having the stomach flu when you are a nursing mom is rough! My sweet little guy was so patient though, especially since my husband was out of town and not around to help! The GREAT news (totally crafting unrelated) is that my mom is coming to visit starting TODAY!! WOO HOOOOO! Well, maybe that's not totally crafting unrelated. You never know what project we'll dive into when we're together (or that I might have time to jump on if I can steal away a few moments when my little guy plays with G-Ma). You should definitely expect a "completed guest room headboard" post this week. :) We love how it looks! I recently embroidered a few items for a friend at church. 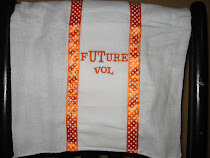 She wanted a personalized burp cloth to give as a gift and her daughter's initial monogrammed on a dress. There's not too much to it, but I wanted to post them here as I often forget to post pictures of things others request. p.s. The dress is from Walmart! What a find! It's time for the last February installment of Craft Favorites Friday! :) I hope you find something you'd like to try (I know I have!). This project stood out to me because my niece LOVES Scotch tape. I hear about it because it's not one of those things parents are going to let you use for no reason, but when she's at my parents' house my mom (her G-Ma) will let her tape and create to her heart's content. So naturally I thought C might enjoy this craft. 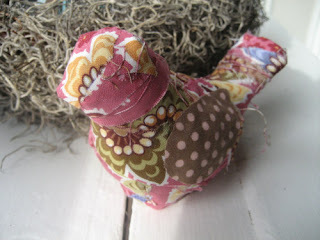 :) I love The Crafty Crow for creative and unusual ideas like this. My brain about explodes from going into overdrive when I see these patterns. If only there were more hours in a day. 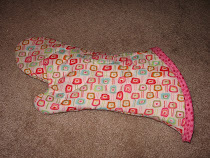 :) Be sure to check out Bit of Whimsy's Boo Bear Pay it Forward deal also (free pattern in exchange for making 2 bears)! I have less than a month until I try dairy again (I've been dairy free for Asa's benefit.... and ours because we get more sleep and have a much happier baby without it). I tried at 3 months and 6 months, and I'm trying one last time at 9 months. If Asa is still too sensitive, then I'm staying dairy free until he's weaned. All that to say, Matt and I joke at times about an imaginary list of things I have not had that I am really looking forward to indulging in when I can have dairy again. I've never eaten these before, but I sure think I will give them a try! They look delicious! 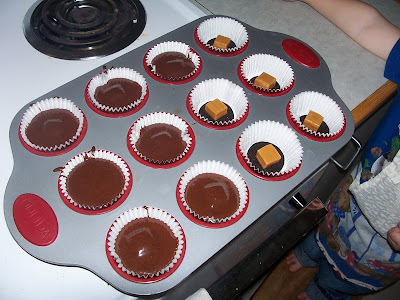 Making the World Cuter's cupcakey-oreo-caramel-brownie-goodness, I hope I can eat you soon! When Valentine's Day was approaching I wanted to make a special Valentine's outfit for Asa. His G-Pa and G-Ma sent us an outfit for the actual day, but I wanted something for Saturday as well. And I hadn't made him any clothes in awhile. I decided to make him an "A" shirt that would work for Valentine's Day and still be wearable at other times. I had the idea to cut an A out of red fabric and cut a heart out of the top for the "hole." 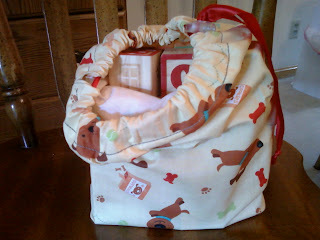 I sorted through several red fabrics and settled on red with white polka dots. I ironed steam a seam to my little swatch of fabric, drew my A on the back (hooray for mirror-image letters! ), and cut it out. Finishing the onesie was as simple as placing the A on my onesie and ironing it in place. I plan to go back and sew the edges of the applique to help it last as long as possible, but it's just fine without any sewing as well. 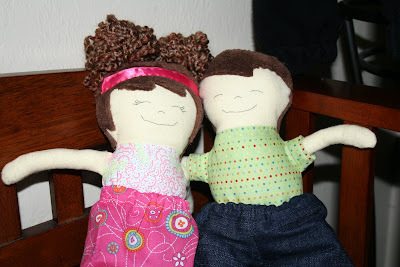 I wanted to share because this is such a simple, easy way to make something special, themed, or personalized, and you do not even have to sew to do it! I had not used steam a seam until recently, and now I am finding SO many uses for it! I am a fan! Oh my, where do I begin?!? These cookie were made for Valentine's Day, but you could personalize them or "decorate" them for whatever occasion you like! 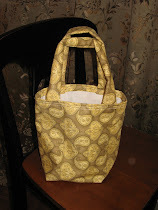 There are lots of pictures and even a tutorial over at Pamela Susan. Check it out--they definitely look good enough to eat! I am all about monograms. 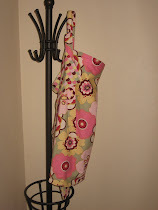 I love the idea of using fabric--so many pretty patterns, weaves, and textures to choose from! 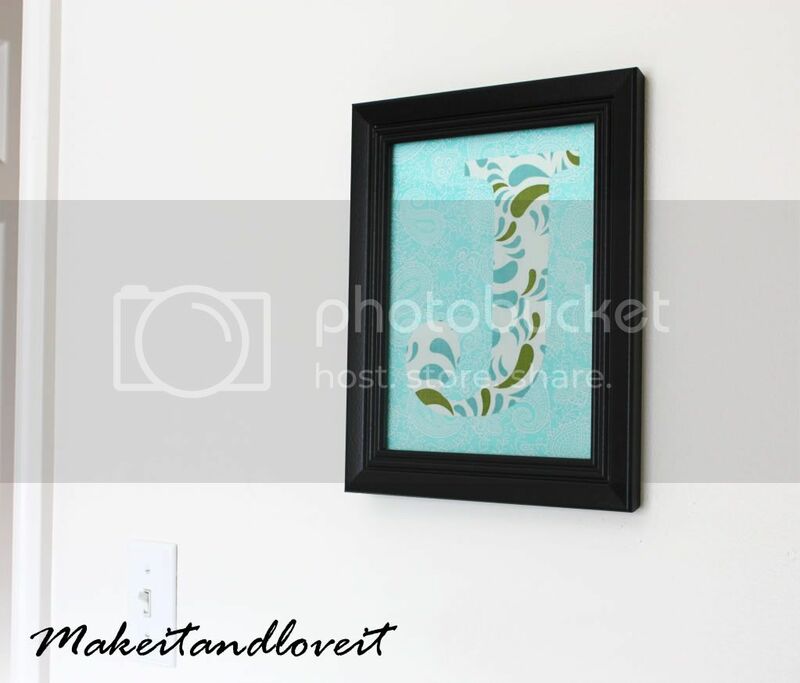 Make it and Love it tells you exactly how to make a framed fabric monogram. We have a double bed in our guest room without a headboard. I knew I wanted something as flush with the wall as possible to maximize floor space around the bed. I thought I would keep an eye out for a simple iron scroll headboard or something. But in the back of my mind I wondered about making a headboard or faux headboard. I saved pictures here and there I found online of faux headboards, but the idea of using fabric always stuck with me (imagine that!). While my mom was hear visiting last weekend, we stopped at JoAnn's, pillow sham in hand in order to match colors. I looked at some stripes, but the quilt on the bed is striped. I considered polka dots, but they didn't lend a grown up feel to the guest room, happy though polka dots may be. 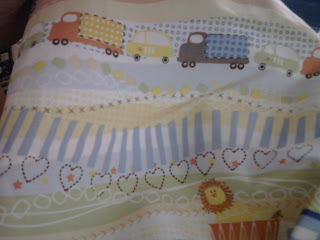 Then we came across a pattern that had the perfect colors and would compliment the quilt. I couldn't believe it! They had just enough yardage on the bolt to cover the 6 canvases I had bought weeks earlier MAJORLY discounted and even have enough left over for pillow to go on the bed. :) For this project, I got to use another tool! The staple gun was perfect for covering the canvases. I even learned how to reload the staple gun. :) All the canvases are covered now and just waiting for a time Matt is home when Asa is also awake long enough for us to hang them (the wall they will go on is a shared wall with Asa's room). I'll post an updated picture when they are actually in place. We recently got to pick up Asa's most recent portraits. Our "first year" package with the photographer includes an 8x10 from each session. We are slowly building a collage of sorts in the hallway. I hung the photo from his last shoot this past week. I love seeing his bright, shining face grinning at me as I walk down the hall. And I marvel how that little baby boy has already turned into the 7 month old Asa. Time is flying. In my parents' home, my mom always did one of two things with Christmas cards. She either taped them to the inside of the front door in a cross pattern or she hung them from ribbon off the stairs. When we moved into our home, I looked around wondering where I would display our Christmas cards. I considered and tried a couple of different things, but I settled on covering our laundry room door. We are in the kitchen all the time, so we get to see the cards all the time. :) It is a fun treat to see our family and friends smiling at us while we cook, eat, and play. I am especially excited to start a new tradition I have heard about from several families. When we take our pictures down (very soon, it just makes the door look so bare when they come down), we will be placing them in a basket. Each night before dinner, we will draw a card from the basket and pray for that family. We can keep cycling through them as the year progresses. I am so excited to start this with Matt and Asa!! We have a sweet dog, Samantha, who is a 3 year old mutt (Rhodesian/lab mix) and very much a "people puppy." She LOOOOVES her people. She has transitioned to life with Asa amazingly well. One thing she does NOT do well is keep her tongue to herself. She is rather notorious for this (we always work on it and it improves during the summer.... then everyone's legs and feet are covered during the winter and we retrain all over again in the spring when skin comes out of hiding ready to be licked), as evidenced by the hilarious sign my parents gave Matt for Christmas. It now hangs over our back door (the door we use to let Sammy out into the backyard). It cracks me up. :) And it's true. So very true. The past couple weeks have been a time with many questions and wondering and plenty of opportunities for worrying and anxiety. God has been so faithful though, and we are rejoicing that we have hopefully closed in on the answers. Asa had his 6 month check up (a month late due to the holidays) about 2 weeks ago. He's always been on his own little growth curve, but there are plenty of boys he is related to who are tall and skinny. Since he has reached all his milestones on time (and most of them early!) and he was growing consistently, our pediatrician decided to just watch and see what happened. At his latest appointment he showed a decrease in the rate of his weight gain for the 2nd visit in a row (and pretty significantly) and his height increase was tapering also. Without her coming right out yet and labeling it as such, I knew we were entering "failure to thrive" territory (which sounds ridiculous--the boy is the picture of happy, engaging, thriving except for this growth factor) and we began the process of bloodwork to see if it was a fluke or his growth stemmed from an underlying problem. We went to our our insurance-covered lab several times, and that was frustrating several times. He's a sweet little baby with tiny baby veins. They had a lot of difficulty getting a line in. They had employees who were not always particularly professional. But even in the midst of that, God showed me He was near. The least professional of them all actually said out of the BLUE [GOD'S FAITHFULNESS], "My baby boy was always so little. Complete strangers would act like I must starve him for him to be that size. Now he could eat me out of house and home!" It blessed me so much because I have been there--I have received dirty looks from complete strangers when they've asked how old Asa is. Yes, I know he's skinny. He nurses whenever he's hungry. He has tall, skinny uncles. All the while I'm thinking, "Why am I defending myself to you??" They eventually got blood for some tests, but they collected it in such a way (pricked his finger and squeezed out a few drops) that it nullified the results. But those results had come back with abnormalities and now we didn't know if the abnormalities were real or because of the collection method. So we went back to try again for an actual line into his vein. We went twice. They suggested "hydrating" him. We tried water--the instant he realized it was not mommy's milk he pitched a fit. :) We worked with a wonderful employee [GOD'S FAITHFULNESS] who was determined NOT to stick Asa again unless she was sure she had found a good line. She did not feel confident about any of his veins and sent us back home. She was wonderful--shout out to Erma! :) I also KNEW we were being prayed for. When Erma tried earlier that morning, Asa became completely still and calm right as they got the needle in (but the blood stopped flowing into the vial). It was GOD'S FAITHFULNESS. At that point it felt like we were stuck and would not get any answers. How were we going to draw his blood? We were sending out emails to friends, Bible study, etc. 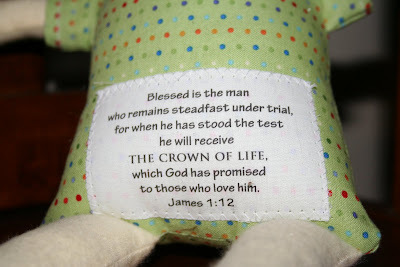 to pray--that we could get a good blood draw and for good results. Our pediatrician stepped in and gave us a couple options. We went to a lab at one of the hospitals in town where they have a bit more experience with babies and children. They loved on Asa so sweetly. They got a line the first try [GOD'S FAITHFULNESS]. The most troubling abnormality came back normal [GOD'S FAITHFULNESS], but there were still a few results that were off. On to the next round of testing and follow up appointments. All the while, we have been praying praying praying for Asa's health--it is his liver? Kidneys? Intake? Thyroid? Yesterday I took Asa for a follow up with our ped (I am thankful all over again we changed pediatricians when Asa was first born. She has been WONDERFUL. She is thorough, responsive, but not alarmist. Just what this mommy needs! )[GOD'S FAITHFULNESS] and to meet with a lactation consultant. There were several blessings that came out of this appointment. the LC guessed by name--without me saying it--who it was at our old ped's office who was so discouraging and unsupportive of nursing and a major reason we left that practice. I felt so validated to know I was not the only one (+ Matt + my mom) who thought she had terrible bedside manner! Before she even watched Asa eat, she checked his mouth and immediately noticed that he had a posterior tongue tie. He can stick his tongue out far enough, but the frenulum was too tight to let him get the middle of his tongue up to the roof of his mouth. That was making it so he was working his little heart out to nurse but tiring out before he got enough. It explains everything! Before correcting the tongue tie, she watched Asa eat. She marveled over how well he was doing--latch, positioning, etc. She said to me, "You never could have known there was a problem. He looks perfect from the outside when he's eating." Balm to my mommy heart!! As soon as they clipped the frenulum, I scooped Asa up and he stopped crying. He nursed right away without problems. The solids we have ramped up, per our ped's orders, have brought Asa back to his previous weight gain pattern. Everyone agrees nursing is #1 priority. I feel very supported. Asa has been eating less at some feedings if he recently had solids (twice/day), so I added in some extra times I'm offering him a chance to nurse even though he shows no cues. :) When they did a pre/post feeding weigh it showed he's still getting plenty from me. My supply had not dwindled too much from this change in feeding habits. I wanted to record this summary of our past few weeks to remind MYSELF now and later of GOD'S FAITHFULNESS to us. He would be JUST as faithful if something were wrong with Asa's liver or if I just couldn't produce enough milk. But we are rejoicing in His mercy in allowing us such a simple issue to address. I have been amazed at the friends with medical background who have stepped in to encourage and assure us of signs of great health in Asa. Of friends who've dealt with tongue tie to encourage us that it should make a tremendous difference to have corrected it. Of people to remind us that God has a plan for Asa. HE is the author and giver of Asa's life, and we stand in awe of the blessing of being a part of it. We pray that the three of us continue to be molded and shaped by His FAITHFULNESS. I hope GOD'S FAITHFULNESS is an encouragement to you as well. 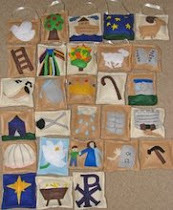 I am huge fan of crafting with felt (as I've mentioned a few times). ;) It is just such a fun medium to create with and so versatile. Can you believe how amazing that lunch looks? 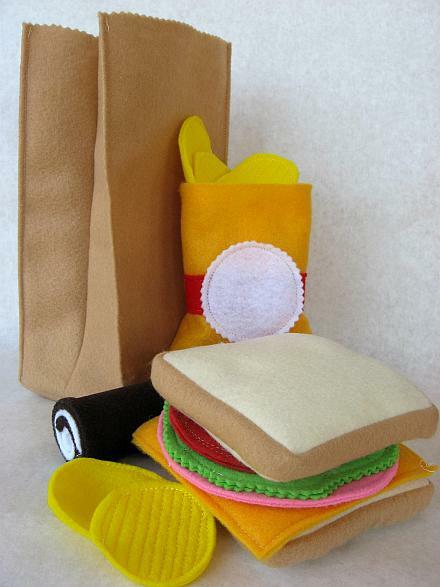 You really need to visit Skip to My Lou to see for yourself how the sandwich pieces--complete with "plastic" sandwich baggie, brown bag, chips, and dessert all come together (super easy)! HOW FUN! I know it has been several weeks since my last CFF round up. Between Christmas travels, settling in back home, teething, etc. I've been storing ideas but not posting them. I have 3 new projects for today though! I read this week that the dollar store wash mitts are back. 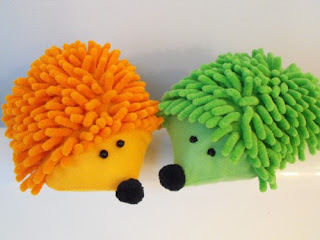 I have seen a couple different projects made with these, but the hedgehog is my favorite. I hope to scope out some dollar stores this weekend--I'll let you know if I hit the jackpot! 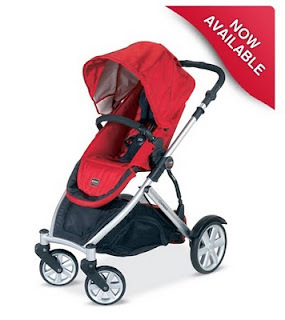 You can find complete instructions by clicking the link above and going over to Darling Petunia. 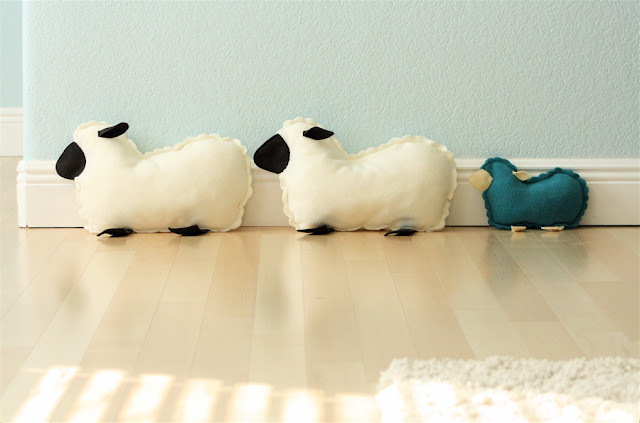 I think this is soooo cool, and I really want to make some for Asa when he's bigger. 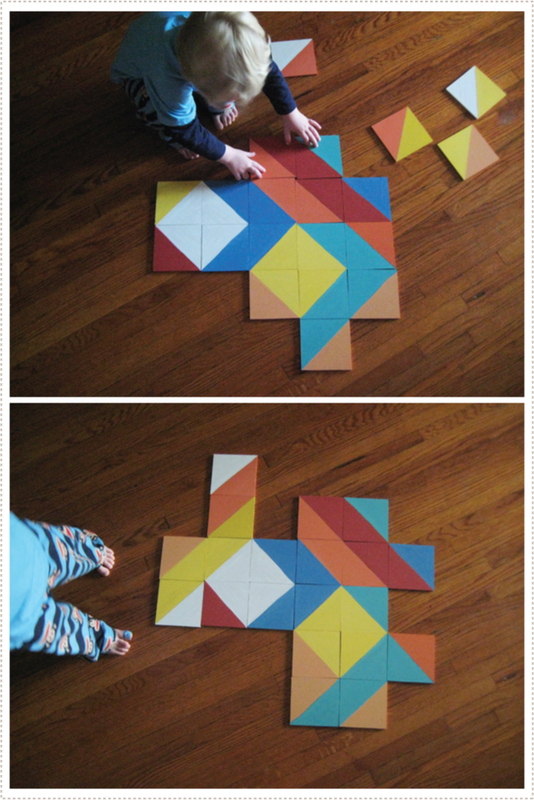 I LOOOVE pattern blocks and used to have a giant bucket of them. I think they are so great for open-ended play and exploration. 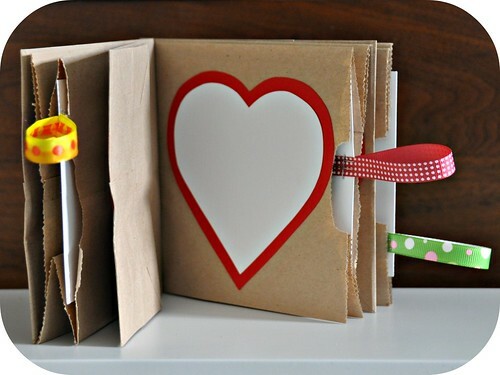 This is such a wonderful and inexpensive way to encourage some amazing creativity. :) Go visit Mer Mag--it could not be easier! I only made one set of crafty presents this year, but I am BEYOND thrilled with how they turned out! 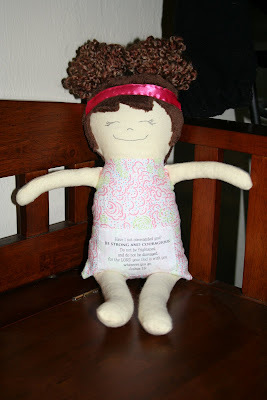 I had seen some scripture dolls online, and I thought they were something I could make--and would enjoy doing so.